I've searched around and found that there isn't really a dedicated thread for this brand. Since I've got some decent wear on mine, I can finally show how they wear over time. the rise is high, the fit is loose, but they are damn comfortable and the construction/cotton is top notch. i haven't felt any jeans better.... yet. warehouse? let's see whoever else has em! My dear trusted travelling pants. Now retired from travelling. They've gone through many operations, someday I will take closeups of my (sometimes quite hideous) patching work. The true color is something beetween first and last photo. I bought them years ago second hand and have put maybe 1 year worth of wear on them. Lot. 0106 (501xx cut) discontinued. Funny, but these jeans got me to superfuture, in a way. chris - where did you get your full counts from? how much does full count usually cost? just checked the site and in case anyone else was wondering thsoe 1108's were running 23,904 yen which is about $196. but now my question is how much would buying a pair run you total including service from japan? unless there is a us dealer somewhere, is there? just checked blue in green and they are priced at 225 USD, the only one they carry is the 1108.
i got them from VMC in zurich while i was visiting last summer. super awesome guys over there. I think i paid around uhhhh $260 US or so for them. how slim will the 1108 get after one wash? pretty slim, sd103 ish? higher rise though by about .75 inch - 1 inch. someone here did a comparo. Actually, I'd rather say the 1653 is SKINNY, because that guy has the skinniest legs of any model I've seen yet and they're skinthight on his thighs. 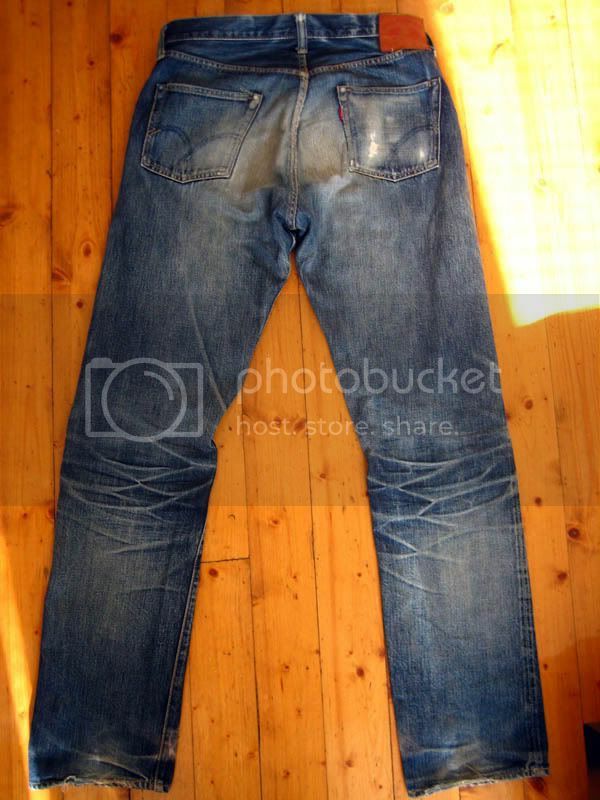 probably the tightest jap jeans there are. 1108 slim, 1653 extremely skinny. jinx, you know anything about the denim? how would you rate FC denim...? ^ ^ My amateur denimist opinion: One of the best there is. wow those look interesting, any more info on them? links? are there any US dealers that are currently selling the 1653? preferably one in nyc, im going up there wednesday. 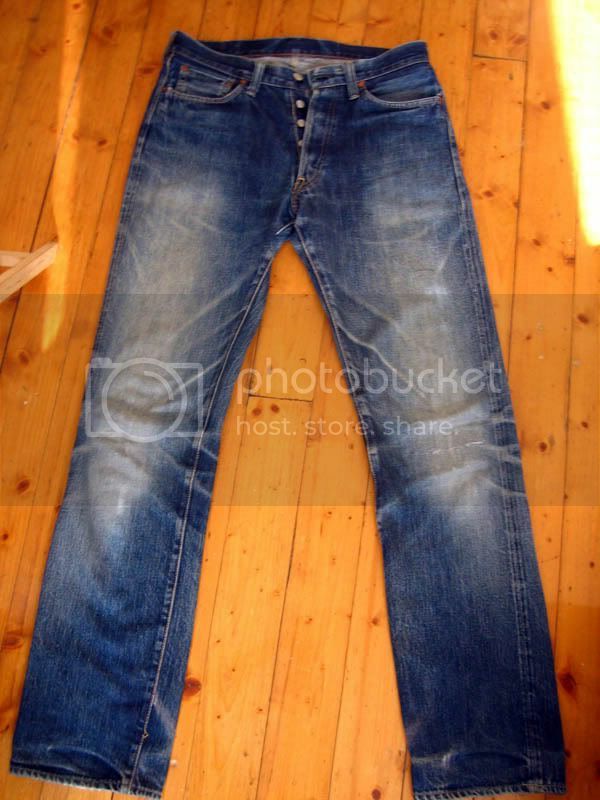 "With the same type as fixed turn 1108, the jeans which are made with the sweat denim of 14oz. Although starting causing unique expression, the feeling which it will be secure it is and it is the denim. The one where wearing with む thing it changes densely in the software, wears and pursues also feeling. There is セルヴィッジ with the power loom and it is the one to which FULLCOUNT adhered." Basically, 1108's with warp thread replaced by sweatpant material. I like them...nice to see a company that knows how to make decent denim experiment with new materials. I don't recall seeing them last time I visited their website, so they must be fairly new...gotta love their complete disregard for Levi's lawsuits. thanks gimmiegimmie, I'd really like to know how that kinda sweatpant denim would feel. If only I known about these maybe 2 weeks ago i would have bought them. Super-slim jeans that have the same silhouette as #1616, the slimmest of all full count jeans. They're almost straight, but it gets tighter around the knees and flare out just a bit around the hem. This cut will make your legs look longer. Since they're using lower-priced denim than #1616, the price is very reasonable. Thus, rivets, such as the ones around the coin pocket, are excluded. But even though they' might not be at the same level as full count's standard zimbabwe cotton, the denim quality is still very high and you could enjoy nice color fades. This is a great bargain for people not too concerned about elaborate details. looks like i'll have to fork out for something more expensive in their range. i love scrounging about rakuten. the variety (and the guesswork) is exciting. yeah, i hear you. it seems like it's worth forking out another 30-40 bucks to get the details you want. especially, if you were planning to wear them for a year or so. They are very nice priced and I'm wondering why they are so much cheaper than the 1108's. Also less details perhaps? yup, sounds like it. they're still using the zimbabwe cottons, but without the selvage edges. 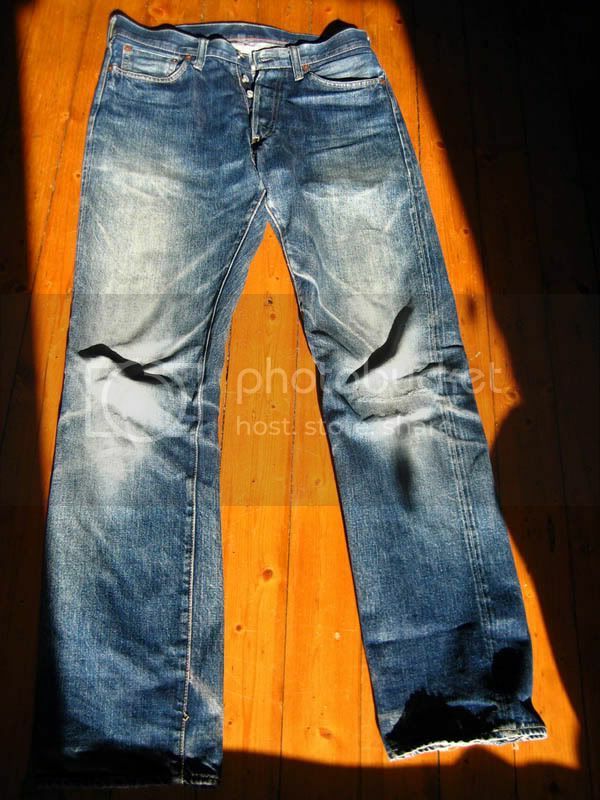 i believe the denim's pretty similar, but if selvage matters to you, it might be tough. the silouette's supposed to be exactly the same as 1108s.